Haitian Spaghetti and I have a love/hate relationship. When I was young, my mother used to make it quite frequently and I got tired of it. When we got introduced to jarred spaghetti sauce like "Ragu", Haitian Spaghetti practically became a thing of the past. I was real young and had my preferences. 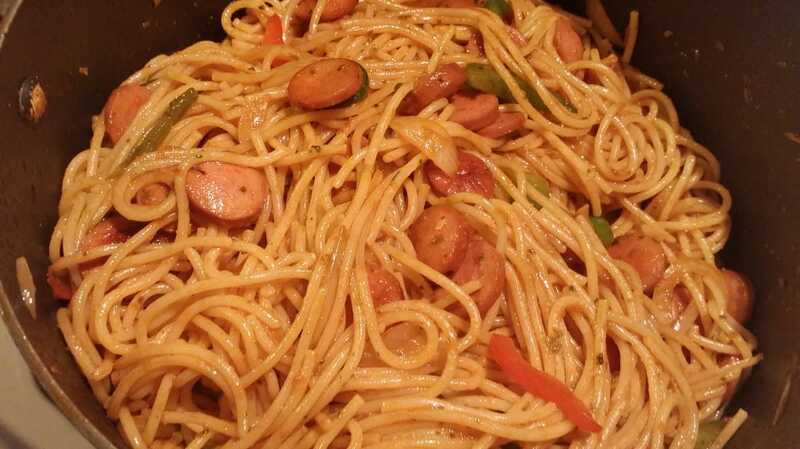 As I got older and came to better appreciate my culture, Haitian Spaghetti came back to the forefront. 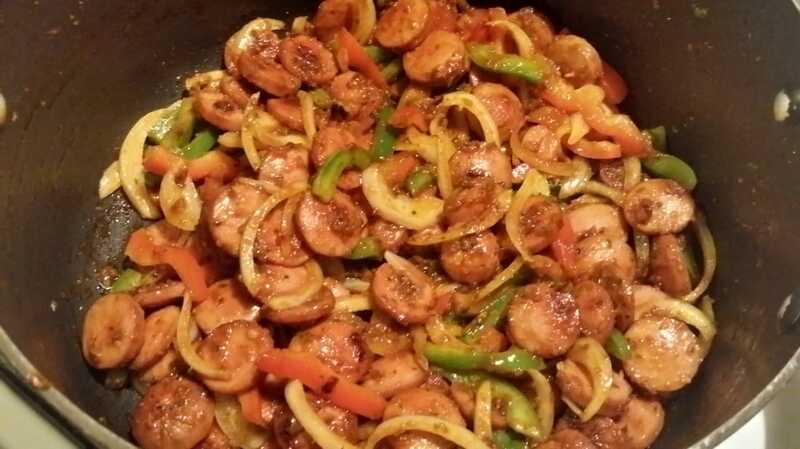 With any Haitian dish, there are various ways of making this recipe. If we weren't using hotdogs, we would use "aronso", a smoked, dried fish called herring. 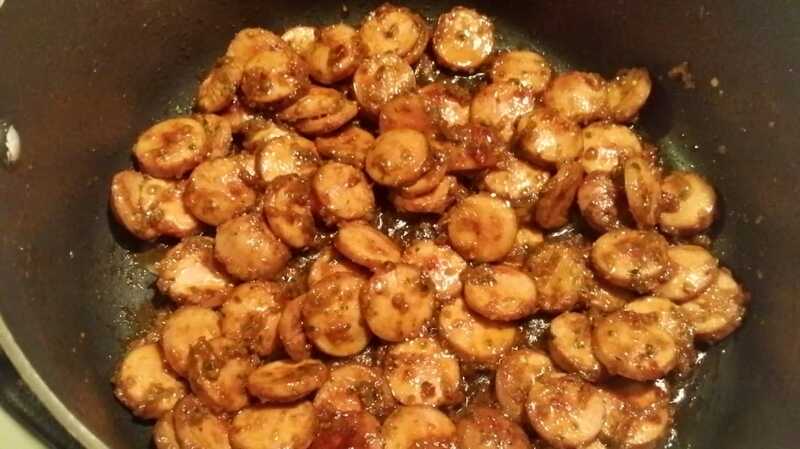 Using aronso would definitely give it that authentic Haitian flavor and is worth trying. 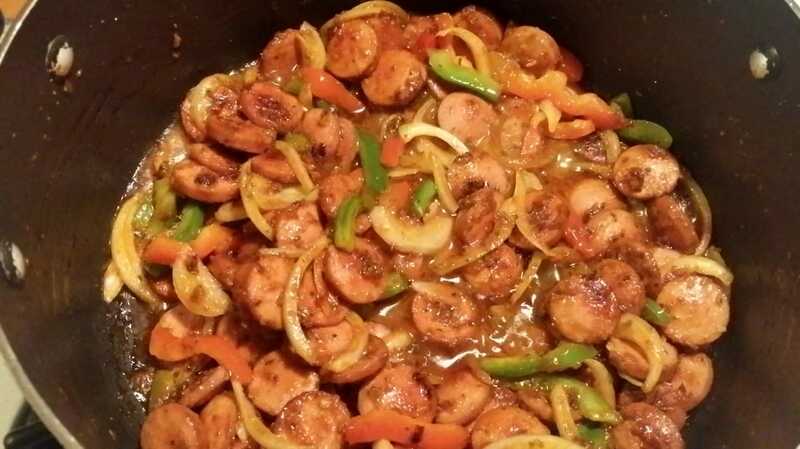 Other options are to use chicken, shrimp, or even smoked sausage. 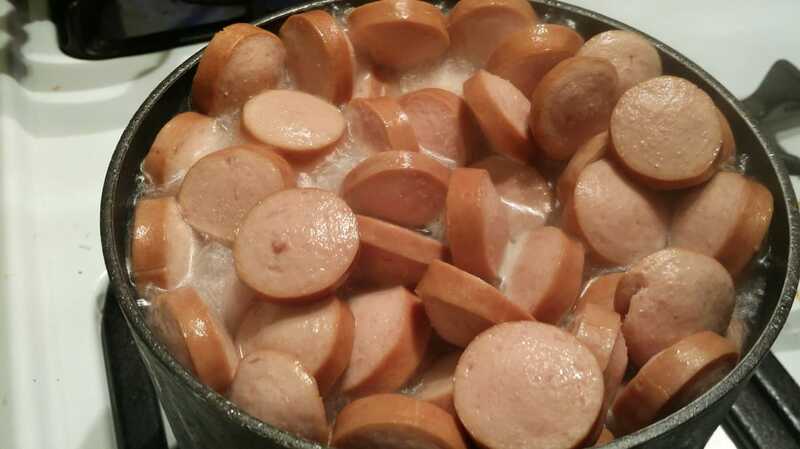 The only difference is that they wouldn't be boiled like the hotdog is in this recipe. Play around with this dish and find out what works for you! This is not a saucy dish. It's more on the dry side, especially if you're used to having a good amount of tomato-based sauce on your pasta. 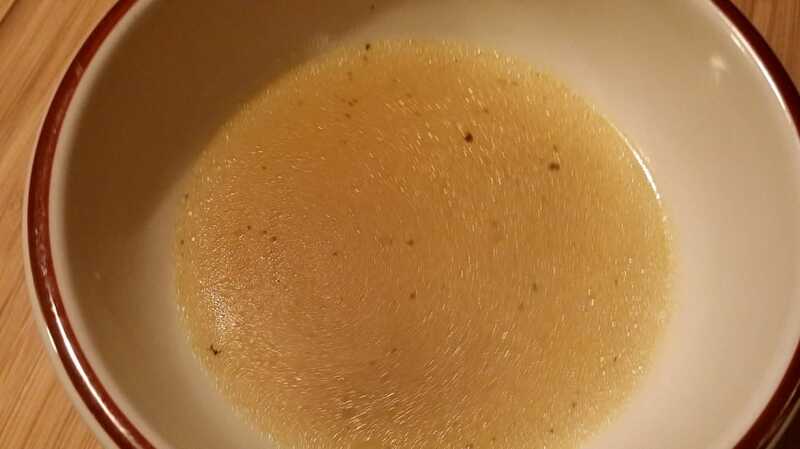 I will have to admit that this dish does use quite a bit of oil. I prefer to use extra virgin olive oil since it's healthier than vegetable oil which is most commonly used for this dish. Either way, give this recipe a try and let me know what you think. 1. 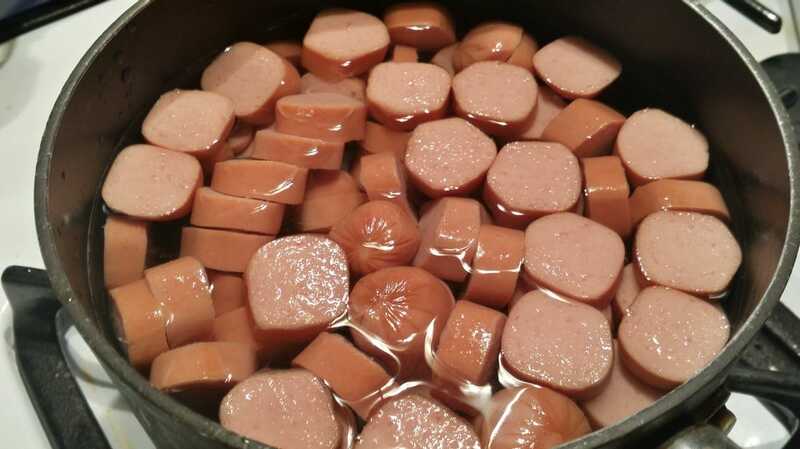 Slice the hotdogs into small bite-sized pieces and boil them until they swell up, about 3 - 5 minutes. Then drain and set aside. 2. Meanwhile, cook the spaghetti according to package directions. Be sure to salt the water and add about 2 tbsps. of vegetable oil. 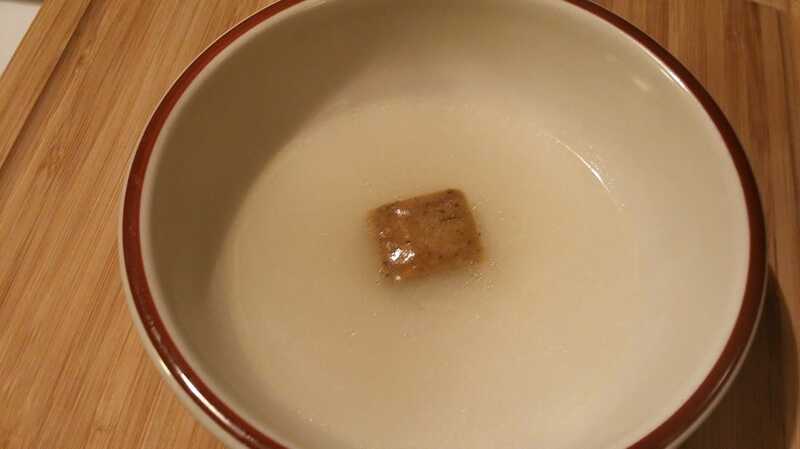 Before draining the spaghetti and setting it aside, reserve about 1/2 cup of the pasta water and crush to dissolve a Maggie chicken boullion cube in it. 3. In the same pot used to cook the spaghetti, which is now empty, pour in 1/4 cup extra virgin olive oil and 2 tbsps of tomato paste. 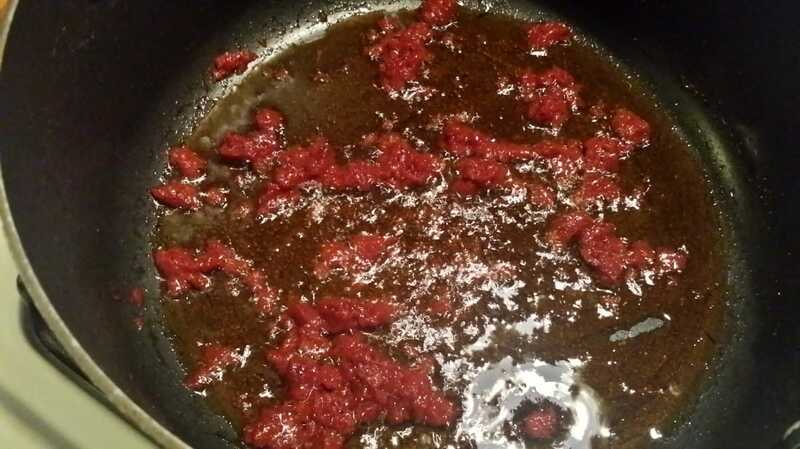 On medium heat, saute and frequently stir the tomato paste for about 2 - 3 minutes, taking care for it not to burn. 4. Add in the hotdogs and epice. Saute for another minute or two, stirring frequently. 5. 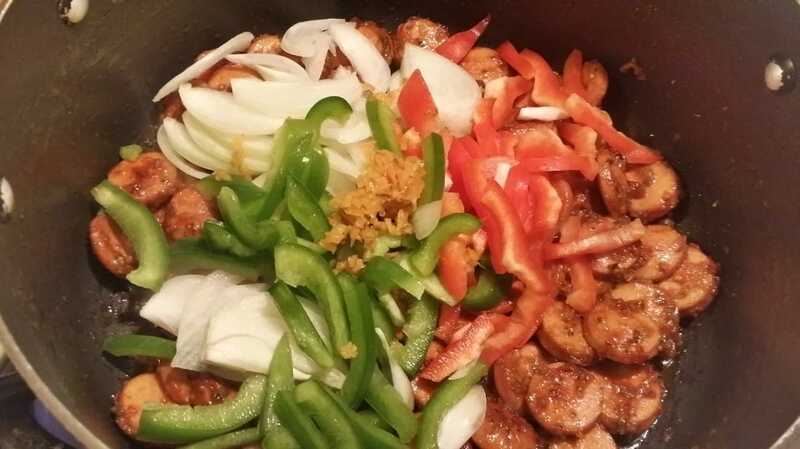 Add in remaining vegetables: onions, green peppers, and red peppers. Add in your spices: 1/2 tsp. Adobo and 1/2 tsp. garlic powder. You may also add in 1/2 a scotch bonnet or habenero pepper if desired. If you really want it spicy, add in the whole thing... Saute everything, stirring frequently for 2 - 3 minutes. 6. 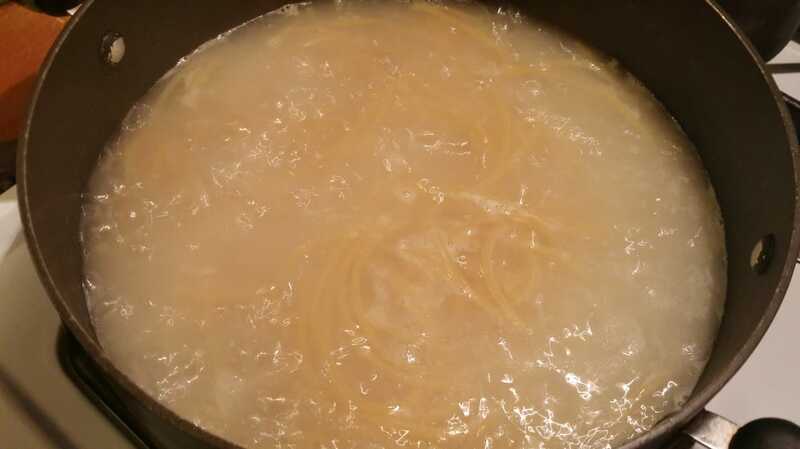 Take the reserved pasta water with dissolved Maggie and add it to the pot. 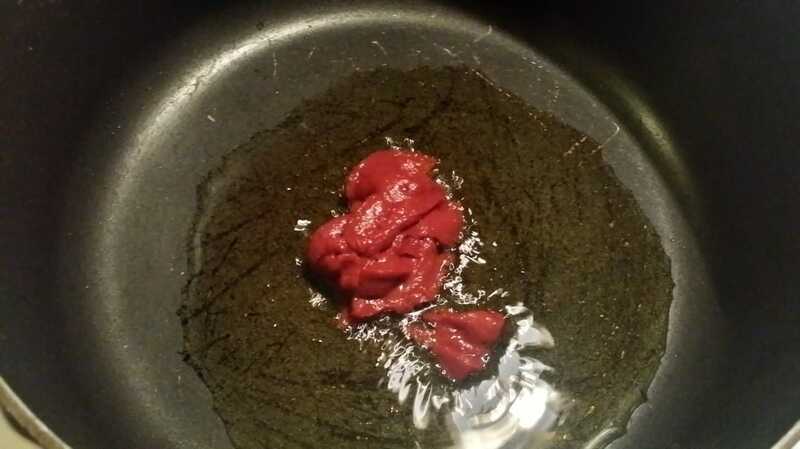 Bring it to a simmer, just enough for the tomato paste to fully dissolve and produce a sauce. 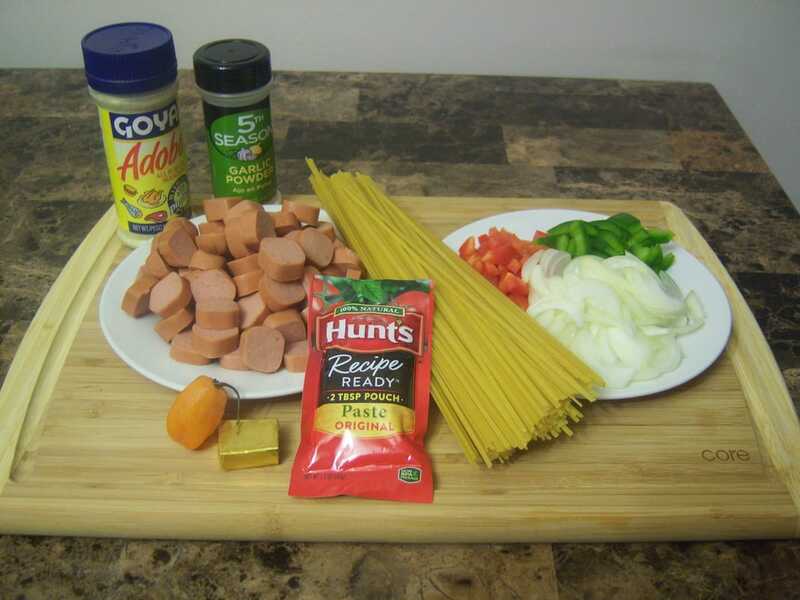 After it looks smooth and saucy, about a minute or two, add in the spaghetti and mix thoroughly to fully incorporate. 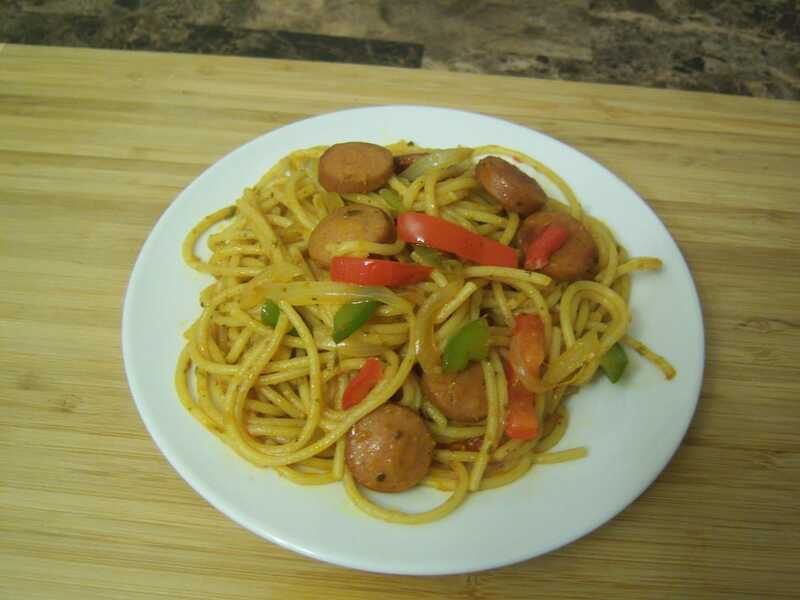 Once the the hotdog and veggie mixture is well combined with the spaghetti, you may now enjoy. What do you think of this recipe? How do you like your Haitian Spaghetti?